Work and construction sites can be difficult to manage, whether financially or juggling multiple facets of any given project. 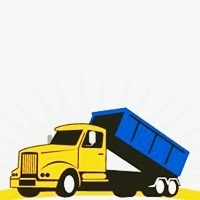 However, with Affordable Roll-Offs, finding a dumpster rental does not have to be one of those difficult aspects. Conveniently located in the Westminster, CO area, site managers and supervisors can easily afford a dumpster rental large enough to suit their needs - whether in a 15, 30, or 40-yard capacity, up to 5 tons of debris - with delivery, pick-up, and fees included in one flat rate with zero hidden fees and world-class customer service. To learn more about our dumpster sizes and pricing, call Affordable Roll-Offs today or visit us online at affordablerolloffs.com for all the information you need to start your next project off right.